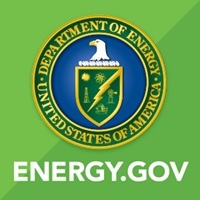 WASHINGTON, D.C. – (RealEstateRama) — U.S. Department of Energy (DOE) researchers have won 32 of the R&D 100 awards given out this year by R&D Magazine. The annual awards are given in recognition of exceptional new products or processes that were developed and introduced into the marketplace during the previous year. The R&D 100 Awards were presented on Friday, November 16th in Orlando, Florida. DOE’s national laboratories have received more than 800 R&D 100 awards since the annual competition began in 1962. The awards are selected by an independent panel of judges based on the technical significance, uniqueness, and usefulness of projects and technologies from across industry, government, and academia. Many of these projects were developed in collaboration with private companies or academic institutions. The list below shows the winning national labs and their corresponding technologies. Researchers at the Critical Materials Institute (CMI) and Ames Laboratory invented a magnet recycling process in which magnets are dissolved in water-based solutions, recovering more than 99 percent purity rare earth elements. Cobalt is also recovered from cobalt-containing magnet wastes. The rare earth materials recovered have been reused in making new magnets, and the recovered cobalt shows promise for use in making battery cathodes. Darshan 1.5 is the 2018 release of a software product used to understand and improve the performance of the world’s largest data-intensive computing applications across numerous scientific fields. GRID-M is offered at no charge to the Federal Emergency Management Agency (FEMA), which sponsored its development, and all Federal sponsors. It enables near-real-time analysis of the physical infrastructure dependencies of supply and demand nodes (e.g., grocery store, utility substation) within a given jurisdiction following a disruptive event, such as an operational contingency (e.g., grid blackout) or natural hazards — the two most common types — or disruptions arising from terrorism or political instability. By scaling the complex supply chain processes to a manageable paradigm, GRID-M reduces the otherwise daunting computational load associated with providing such information in real time. Emergency planners/managers and public safety officers can customize the tool to consider the critical infrastructure, represented as supply and demand nodes, of the supply chains of greatest significance within their jurisdictions. HyMag magnets significantly increases the usable magnetic flux density of a permanent magnet by 10%-30%, leading to a dramatic improvement in energy efficiency of electric motors and wind turbine generators. HyMag are less expensive and more environmentally friendly, with 60-90% lower heavy-rare-earth materials consumption. Swift/T is a highly scalable, hierarchical parallel programming language and runtime that automatically parallelizes the execution of highly concurrent ensembles of scientific simulations on supercomputers. The slim profile of these detectors enables stealthy deployment to detect shielded nuclear materials. Converting waste heat into power represents one of the largest opportunities for bringing greater efficiency and reduced emissions to the energy sector. Using nanorectifying antenna research from INL, RedWave Energy Inc. has developed Antenna Coupled Thz (ACT) Film capable of harvesting low-temperature waste heat at power plants. Each sheet of ACT Film is made of tiny, square, gold-wire rectennas embedded in polyethylene, plastic sheeting that can be used nearly anywhere. The ACT Film absorbs heat between 70 and 250 degrees Celsius and converts it to electricity. Conceivably, composite stacks of ACT Film could be engineered to be compatible with existing power plant designs and used to replace cooling towers. By recovering 20 percent of low-temperature waste heat at a typical power plant, the electricity generated would equal the amount produced by burning 112,000 tons of coal in a year. AICS is an artificial intelligence breakthrough that can protect the nation’s critical infrastructure from devastating cyberattack. AICS works autonomously to give industries the power to quickly identify and divert hackers, using machine learning to identify and map industrial control systems. It can identify anomalous network traffic, alert operators and deploy virtual decoys to slow or halt hacking attempts. Following installation on an industrial control system and an initial learning phase, AICS automatically updates what it knows about a control system, adapting and remapping as it goes. AICS sets up and continually updates decoy virtual hosts – honeypots – to distract attackers from targets, giving asset owners the ability and time to gather information that can help identify both a hacking threat and a potentially compromised system. eProject Builder (ePB) is a secure, web-based data management system that enables agencies and ESCOs to preserve, track and report information for their portfolio of energy projects. Lightweight container software enables software “containers” on high-performance computers. Provides the fastest software for searching metadata at the scale used by supercomputer and enterprise centers. Precisely determines the location, amount and movement of a radioactive source in the presence of multiple sources. This turnkey, low-power sensor network enables data collection and transmission in rugged, remote outdoor environments. Lightweight radiation-hardened computer for satellites and other space applications. The sensor mimics biological recognition of bacterial pathogens to enable the detection of bacterial infections even before the onset of symptoms. (ViDeoMAgic) uses video of a vibrating structure and extracts high-spatial-resolution structural vibration and dynamics information to measure the dynamic response and analyze the health of civil, mechanical and aerospace structures. Acrylonitrile through nitrilation, which provides a cleaner process to produce acrylonitrile, a building block for carbon fiber. Biomass replaces petrochemicals as the starting point, making the process renewable. More than 7 billion kilograms of acrylonitrile are produced globally each year for use in such products as clothes and carpets. Foresee is an energy management system that relies on user preferences to control and coordinate a home’s connected appliances and electronics. The software first asks users to rank what’s most important to them about living in their home. Then it takes those preferences into account and automatically adjusts the devices accordingly to reduce energy usage and maximize efficiency. The Ambient Reactive Extrusion technology is a new approach to additive manufacturing that delivers faster, stronger and more versatile printed parts than traditional thermoplastic printing techniques. The ARE AM approach uses agile, lightweight print heads to deposit polymer materials up to 100 times faster than traditional print systems, suitable for on-site rapid prototyping. Carefully designed reactive print materials create inter-layer covalent bonds, creating significantly stronger vertical strength and eliminating internal stresses and warping. Ultracapacitors are energy storage devices capable of storing and quickly discharging large bursts of power but are limited by a narrow voltage window and low energy density. ORNL researchers have developed a sodium-based electrolyte for ultracapacitors that extends the voltage window without side reactions and can double the specific energy while maintaining power density. The MENNDL deep-learning technology was designed to mimic human thought processes. When analyzing a dataset, the software starts with a poorly performing network, then alters it through a series of feedback loops to optimize its performance within hours. MENNDL’s evolving networks are applicable in many fields from computer vision to speech recognition and can be trained to analyze specific datasets. The system presents a novel application of deep learning algorithms to electron microscopy, as it is able to extract structural data from raw atomic microscopy information. The m-UGA is a time-synchronized, multi-functional, wide-area monitoring and analyzing device designed to enhance the situational awareness capabilities and assess power grid health in real time on mobile devices such as smartphones and tablets. The technology can be installed virtually anywhere with regular 120-V power outlets and is able to capture dynamic grid behaviors and monitor customer-end power quality. The Atomic Forge is a new fabrication approach that repurposes a scanning transmission electron microscope to assemble and manipulate matter on the atomic level. The technology uses STEM electron-beam modification, custom beam control and real-time feedback to create 3D nanometer-scale crystalline structures and controllable atomic assemblies in 2D and 3D, one atomic plane at a time. The Atomic Forge is the first to use the STEM approach and the first to allow sample monitoring during manipulation. Fabrication time is significantly faster than STM assembly, from hours to minutes, and can be operated at room temperature with a high vacuum, rather than cryogenic temperatures and an ultrahigh vacuum. The controller-software module is compatible with modern STEMS and provides a pathways towards large-scale fabrication of materials with pre-defined properties, Beyond-Moore’s-Law technologies, quantum computing devices and the realization of complex molecular machines and nanorobotics. ORNL researchers have engineered an innovative cloning system for flexible DNA assembly from universal libraries to generate multi-gene constructs (DNA synthesis). This cloning system adopts a pre-defined three nucleotides (TNT) signature and a buffer system for a quick one-pot reaction. The all-inclusive and ultra-flexible TNT-cloning system assembles functional constructs from a universal library that automatically maintains open reading frames (ORFs) and does not require linkers, adaptors, sequence homology, amplification or mutation of DNA fragments in order to work properly. Ever-increasing cyber attacks and natural disasters can wallop the nation’s electric grid, potentially causing cascading power outages that cost utilities and their customers billions of dollars. PNNL’s answer for minimizing the impact of extreme events on power grid is DCAT. By simulating thousands of extreme events, DCAT automatically meshes the evaluation of steady-state operations with changing occurrences in the electric grid to find weak spots. Once a weakness is identified, DCAT determines the impacts that would result from a cascading power outage and provides the power operator with actions to stop the outage before it happens. With DCAT, utilities would gain at least 50 percent in efficiency for analyzing grid occurrences compared to today’s more manual processes. One hundred forty six days—that’s how long, on average, it takes to detect a cyber breach from the time it begins. PNNL’s StreamWorks cuts that time significantly—to near real time—by detecting emerging patterns of sophisticated cyberattacks in massive data streams. Combining several analytic approaches never before seen together in a cybersecurity tool, the technology tells a cyber analyst when major suspicious patterns are occurring, along with a description of the potential threat and a rationale for why the threat was selected—so the analyst doesn’t have to guess, but instead can take action swiftly. Detergent-assisted fabrication of functional materials: Application of ordinary detergents can produce uniform size and shape of multifuctional materials at the nanoscale, boosting their performance. Possible uses of the technique range from environmental cleanup to cancer treatment, while reducing costs at the same time. LAMMPS is a classical molecular dynamics code with a focus on materials modeling. It can be used to model atoms or, more generically, as a parallel particle simulator at the atomic, meso, or continuum scale. This novel grating technology enabled the creation of a compact, bench-scale X-Ray Phase Contrast Imaging device with the ability to detect cracks, voids, or delamination in low density materials. Sandia’s system enables non-destructive inspection throughout the assembly process—improving overall confidence in part reliability. An interface that users, applications, system tools and administrators can operate to understand and control power usage. It works through existing programming paradigms that all modern computers operate under. SWiCK Zoom, or Sandia wide-angle quick zoom — The technology uses variable focal-length lenses or mirrors to toggle between high and low magnification almost instantly, enabling users to achieve true optical zoom with minimal power. Compact, lightweight, and low-power systems are ideal where size, weight speed or battery power come at a premium, including cameras on drones, cell-phones and self-driving cars. OARtrac helps solve a key challenge for radiation oncology: the difficulty of measuring exactly how much radiation cancer patients receive in real-time at the tumor site. The system is designed to allow therapists to not only monitor, but also adjust the radiation delivered, so that patients receive the amount specified in their treatment plan.